Capsule wardrobe? What is that even supposed to mean? Ok, let’s not fret too much here. It’s not one of those millennial concepts that are taking over the world; it’s something we have all needed since forever. It’s a life changing idea, truly! No, stay with me, and you’ll agree. Let’s just dive deep into the whats, hows, and the whys of a wardrobe capsule. Let’s take it from the top and in a few steps understand how to build a capsule wardrobe on your own. Why Even Start Your Capsule Wardrobe? Don’t get bogged down by this fancy word – it basically means a functional and small wardrobe with stuff that you ABSOLUTELY need and CERTAINLY wear. 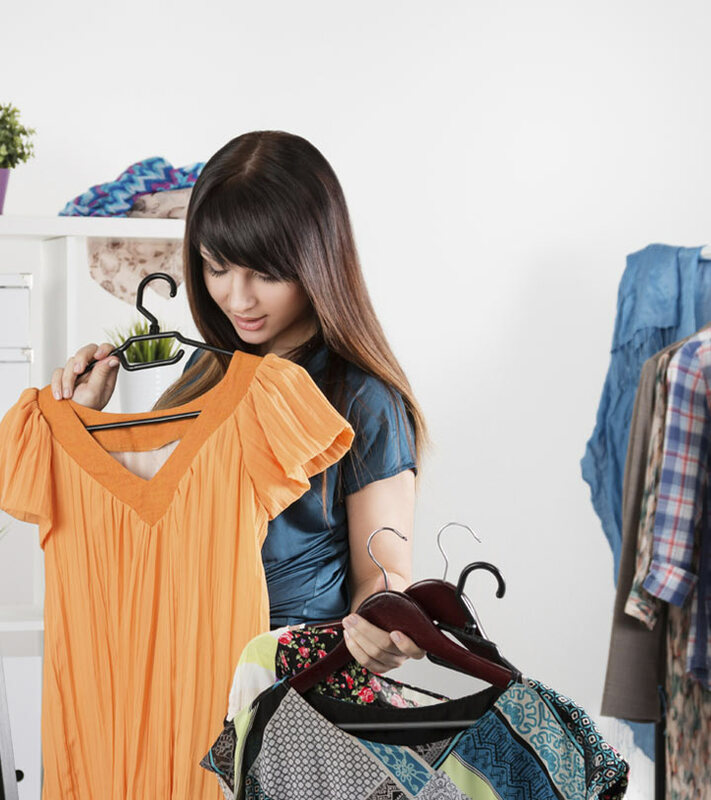 Every piece of clothing is a value-add, not just as a stand-alone but also something you can mix and match. It should match your style, personality, and size (most importantly). If you’re a beginner and reading this, your reaction to this will be ‘Are you kidding me?’. But, if you take that leap of faith and give this a try, you’d agree. On an average, we need about 28 to 37 items in our closet, and that’s an ideal number for what you call a capsule wardrobe. Before you say something, no, it’s not unrealistic, and YES, this is a fair number because let’s be honest for a minute – how many pairs of shorts, trousers or tops you have in your closet that you one day dream of getting into? Sorry, they just need to go. You use things for about three months (every season) and then upgrade as you progress. We’ll talk about this in a minute. Why Even Start Your Own Capsule Wardrobe? The reasons might differ for each one of us, but the outcome is still the same. As women, we all love shopping – our obsession levels vary, but we stand united when it comes to buying things we like. Most of us are impulsive shoppers, but all of us are hoarders. So, here are a few questions for you to answer and you will know for yourself if you need to start your own capsule wardrobe or not. You have to shove any new clothes into the wardrobe because it’s always overflowing. And, even with a closet like that, you almost “never have anything to wear”. If you do find something, more often than not you’re repeating those five shirts, two dresses, and one pair of trousers. Do you buy clothes with the hope of fitting into them one day? Every time you clean your closet, you find at least 3 new things with tags still on. Shoes you can never carry off? Accessories that are not your style? You don’t have to answer these questions for me, by now you have a fair understanding. That’s all this is about. There aren’t any rules here, neither is there a measure. So, when we said 28-37 items, it’s a point of reference, not something you have to stick to no matter what. That’s why you start should a capsule wardrobe. You will see that you will genuinely waste lesser time, money, and energy on things you don’t need and clothes you will never wear. So much for the ‘Great Saving Sale’ which is not-so-much of saving in the first place. Again, there are no hard and fast rules. Feel free to tweak the list according to your lifestyle – but the only broad rule here is to try and survive with a relatively tiny wardrobe. As a beginner, there will be additions or subtractions to the list, so fret not. Let’s try and break this down into steps. Cleaning – This is probably the most difficult part, simply because it is the first big step you are going to take towards this capsule wardrobe challenge of sorts. Just clean out your entire closet and lay your stuff on the floor or bed. 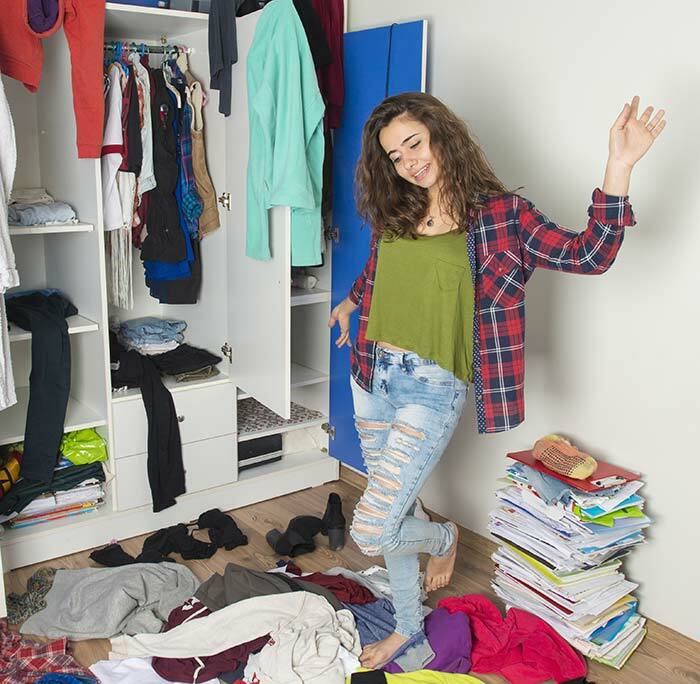 Sort Out – Start dividing your closet into smaller chunks in the following order. Yes: Absolutely Love It – With every piece of clothing, item, accessory or shoes you pick up, ask yourself if you absolutely love it and can probably hike The Himalayas in them? (you get the drill, don’t you?). If your answer to this is a no, let’s move on to the next item. No: Never used it, nor you ever will? The tag and the fold are still intact? This makes for the ‘No’ pile. Maybe: Only you know why this is a maybe. It could be a memory, your favorite color, fit, design, etc. Seasonal Clothes: Winter jacket, rain coat, boots, an extra pair of swimming shorts, old track pants? All of this will be the last chunk. If you’re lucky your ‘Love it’ pile will be bigger than the rest. So, give the other ones a good look before you start taking action. 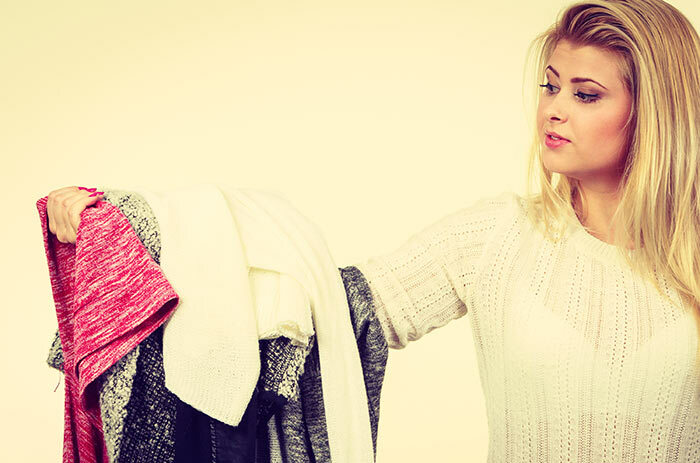 You know what to do with the ‘No’ pile – either discard or donate the clothes. Your ‘maybe’ category can be your backup. So put them off in a carton and shove it under the bed or in the attic. Now that the seasonal clothes are sorted, they can be stored separately. Okay, just the thought of trashing clothes like that might can give you an anxiety attack. So, just put them away somewhere. It saves you closet space, and there is no pressure of actually tossing them. If you need something, you can go back and fetch it, otherwise it’s an out-of-sight-out-of-mind scenario, and you eventually know what to do with them. This way it makes the process a lot easier, plus, it serves the purpose. A checklist that helps you with exactly what you need to survive that season. It will be your reference point so you can take it from here. You will now know if you need to shop; if yes, you can work towards a budget. The difference this time would be only buying stuff that you need. Also, by all means, remember that this process should be fun, so do not be hell bent on following the rules. It’s only a guideline. If you need more items, add to the list; if you can work with a lot lesser, nothing can be better. Whatever it is, remember to enjoy it and not be overwhelmed. Do whatever it takes; after all, this is not just de-cluttering your life but also your mind, and incidentally your life. Workwear – Clothes you would wear on special days or meetings versus clothes you wear every day. Active Wear – Whatever physical activity you indulge in – swimming, yoga, HIIT training, gym. Shoes, socks, and clothes that you will need. Party Wear – Includes dresses you would wear to clubs, parties, weddings, outings, dinners, etc. Daily Wear – You run errands in these – buying groceries, doing laundry, going to post office, etc. Once you’ve categorized them, calculate the number of pairs you love and need for various activities. Keep a tab on the fit, size, design, and relevance of these clothes. Make a shopping list to see if you require more. 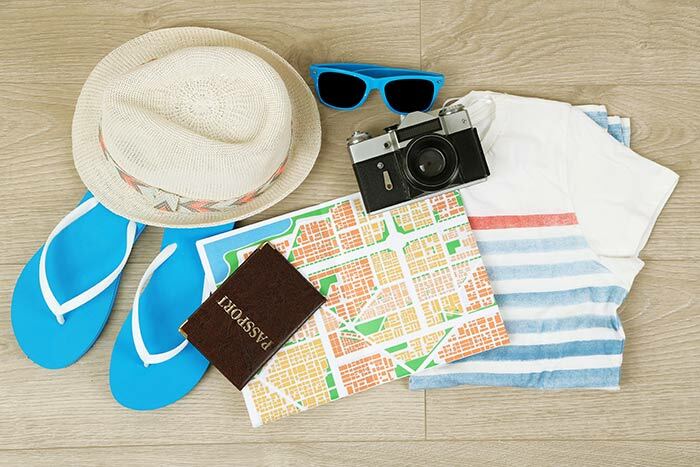 Summer clothing is usually light, smooth, and comfortable. It’s not the time to go for clothes that are uncomfortably fancy. Here’s what you need – in proportion. The focus during winters is on the outerwear, so bring the ‘seasonal’ carton box and quickly skim through to see if you have the following. Apart from your formal wear, it’s all about layering it up and doing a mix-match, so choose wisely. You don’t have to show up in a new suit every day to work; smart dressing is the way to work towards this. The idea is to use one piece of clothing and match it with at least two or three others. Sorting out a wardrobe for college wear is probably the easiest because you don’t have to follow any strict rules as long as you follow the etiquette. Save some fancy clothes for college parties, presentations, seminars, etc. I’ve seen family and friends make this mistake all the time. The minute there’s news of a baby, they flood the wardrobe with kids’ clothes. They do not realize that kids outgrow their clothes at the snap of a finger! If there’s a baby in the family, you get lucky and can pass them on. Otherwise, it just does not make sense. By all means, pamper you kids, but plan it in a way that accommodates space and budget too. It’s a never ending list, but it’s all about simple, smart and sustainable clothing. Follow the three-month rule and upgrade it at the end of it, just like you would! I could never really figure out the art of backpacking or traveling light when I was on the move. And, for the very same reason, I would dread journeys. Accounting for an extra pair is one thing, but carrying three extra bras and two dresses is another. It is nothing but lack of planning. It can be infuriating to deal with a big unnecessary suitcase. Just because you are over fifty does not mean that your closet should be frumpy. 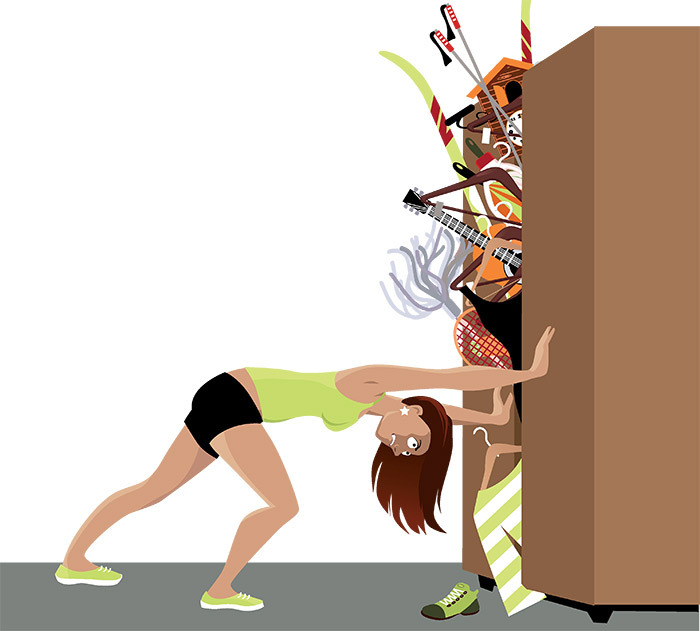 An age when women tend to become hoarders is a time when they have to work backward. You do not have to stop having fun and dressing right, but if you decide to move towards a capsule wardrobe, pick a theme and a style that matches your personality. There was a time when I believed that the number of shoes I owned was directly proportional to the ‘cool-quotient’. And, before I knew it, I was spending/wasting money on stuff that I’m probably never going to wear even on a rotational basis. And, if you are anything like this, cleaning your shoe wardrobe will be the most painful part of the process. But, trust me, you can do this and should do it too. Here’s what you will need – all of them should be comfortable and useful. The number of accessories we buy and not wear could probably cost us all a dream house each. A whole pile of junk we need to get rid of. It does not take up too much space. However, it will save you time, give you a clear sense of taste the next time you shop, plus you could make more trips to Starbucks with the money saved. 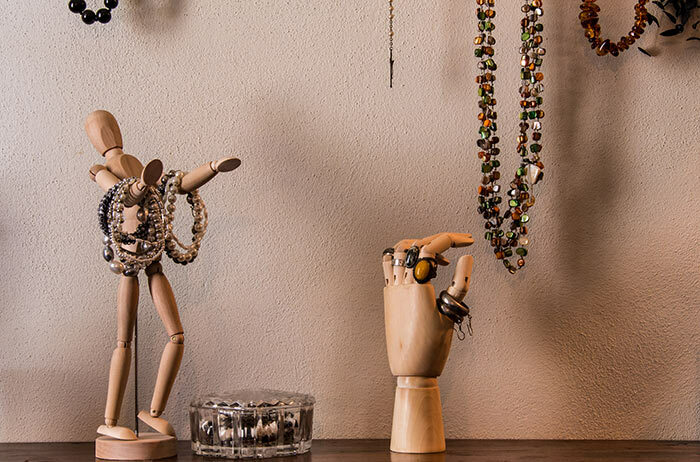 So, there is no list here – scarves, watches, and jewelry. Sort them out and scrape the rest! 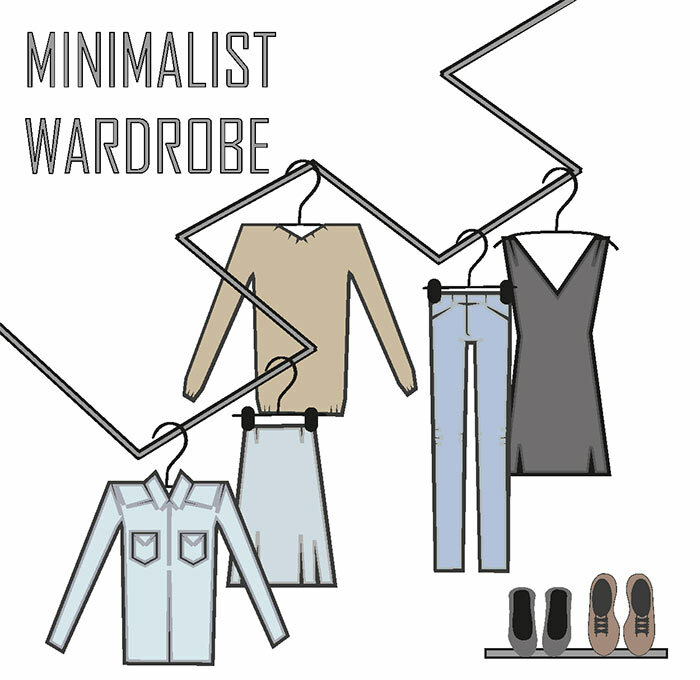 Now that you know how to build a capsule wardrobe, what are you waiting for? Phew, I agree it’s easier said than done. You might think I’m crazy to sit here and talk about trashing your closet, one outfit at a time? No, I know what I’m talking about because I’ve been there and done that! And, I also know the difference this exercise can make in one’s life. Just like anything else, this feels impossible at the beginning, messy in the middle, but worth it towards the end. So, if you’re considering this for your capsule wardrobe 2018, do it at your pace, but do it anyway. Feel free to share your thoughts! What does a wardrobe mean? A wardrobe is usually the physical cabinet/space you use to store your clothes exclusively. What is the difference between a wardrobe, a closet, and a cupboard? A wardrobe is exclusively used for clothes and colloquially can also mean the clothes, accessories, and shoes. 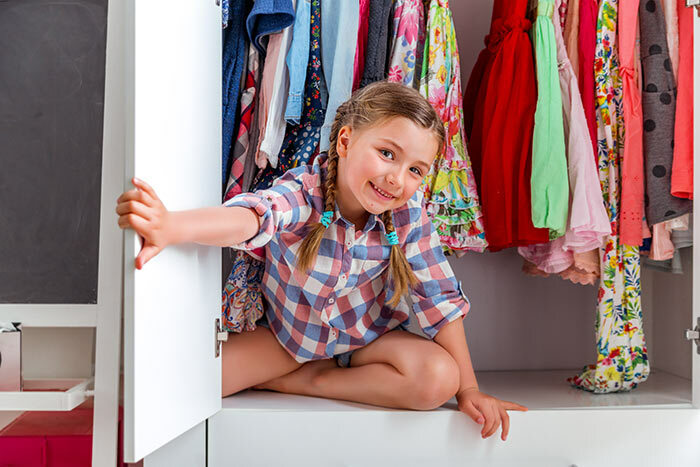 A closet is usually a small room that you store everything at in one place. A cupboard is a physical cabinet, not necessarily exclusive for clothes. 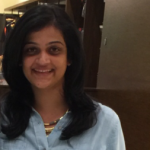 What is a wedding trousseau? Wedding trousseau is everything a bride needs and takes with her after the wedding. Earlier, it just meant gold and other valuables, but now everything that she needs as a bride-to-be till she moves out to her husband’s house is a wedding trousseau. How do I set up my capsule wardrobe? 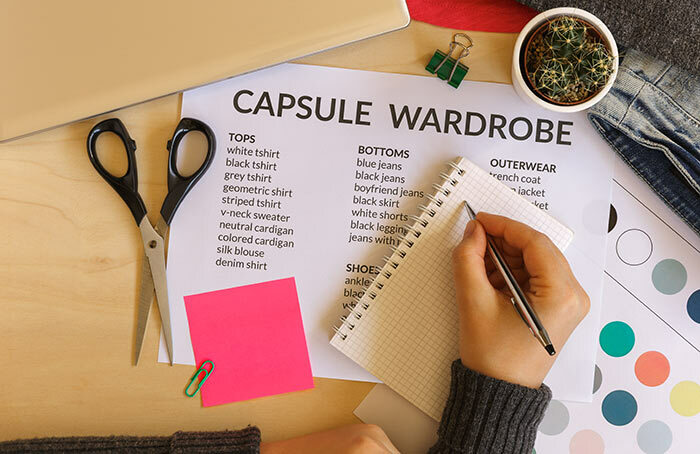 Setting up your capsule wardrobe takes a lot of planning, patience, and hard work. 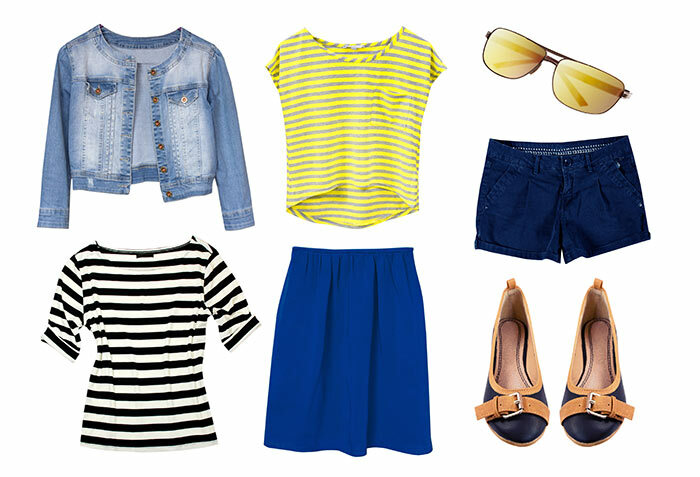 You need to match your need to your closet and arrive at building your capsule wardrobe. Refer (hyperlink to the third subhead) How To Create Your Wardrobe Capsule. Why, In Fact, Girls Do Have All The Fun!